Getting a student permit from LTO is convenient nowadays (see 3 Major Steps in Applying for a Student Driver’s Permit). I remember when I’ve applied for a student permit many years ago, I’ve obtained it in just a few hours even though I’ve applied in the afternoon (I’ve prepared all the requirements prior to the application). However, having a student permit also has its guidelines to be considered. Many student permit holders don’t know what are their responsibilities and limitations. Several people are asking me the common questions with regards to student permit. In this article, we’ll tackle the frequently asked questions in student permit. How to get a student permit? Getting a student permit is just easy. All you need is an NSO birth certificate and money to pay for the necessary fee. Remember, NSO birth certificate is needed! To know more about getting a student permit, visit 3 Major Steps in Applying for a Student Driver’s Permit. How long is the validity of student permit? 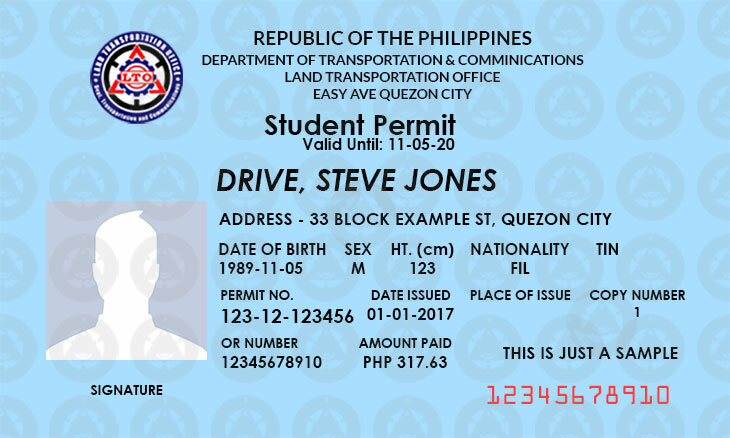 According to the official LTO government website, student permit shall be valid for one (1) year from date of issuance and may no longer be revised, modified or renewed. Can I apply for a non-professional or professional driver’s license even if I have an expired student permit? No. You should have an unexpired student permit in applying for non-professional or professional driver’s license. When am I eligible to get a non-professional driver’s license or a professional driver’s license? After (1) one month of having a student permit, you can apply for a non-professional driver’s license. In professional driver’s license, you should hold at least (6) six months student permit, following that you are qualified for its rules. For more information, please refer to the article about getting a non-professional driver’s license or professional driver’s license. Can I drive alone even if I only have a student permit? Is it against the law to drive alone if you only hold a student permit. Having a professional or non-professional driver’s license is necessary, meaning, as a student permit holder, you should be accompanied by a person with driver’s license. If I will drive in the road, is it necessary that a person must have a professional driver’s license to teach me how to drive? 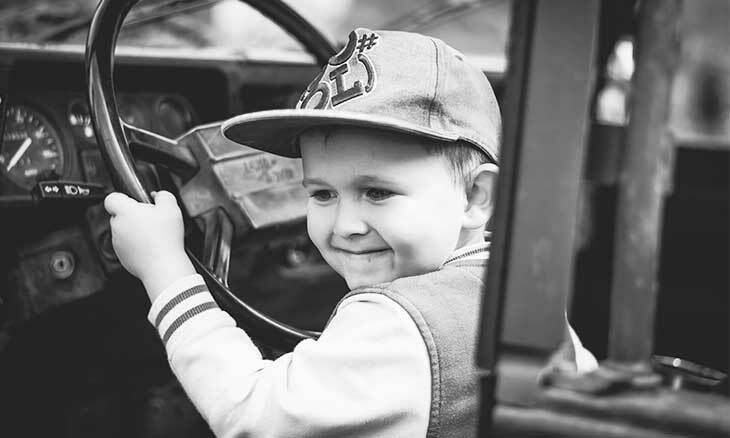 You may only operate a private vehicle and only if you are accompanied by a duly licensed driver, whether a holder of non-professional or professional driver’s license with the appropriate restriction code for the type of vehicle to be driven. Here you go, you are now confident because you know the answers to the common questions asked about having a student permit. Remember, a violation even if you only have a student permit will reflect when the time you’re ready to get a driver’s license. Be sure to follow the rules and regulations so that you could eliminate some hurdles in obtaining a driver’s license. Do you have your student permit now? Let us know what is your other questions with regards to it by providing your comments below. Founder of LTOExamReviewer.com. A professional driver, blogger, web developer and a good citizen, your fellow Filipino citizen from the Philippines. If you are accompanied by a duly licensed driver, you can drive a motorcycle even if it is only a student permit. ask ko lang bakit nagparenew ako ng pdl ko ay inalis nila ang code 8.
isa po akong ofw at heavy driver po ang license ko abroad. I-contact niyo mismo kung saan kayo nag-renew, ask niyo kung bakit inalis ang code 8, probably error nila yun. what would i bring if im going to renew my expired student permit license? sir 1month na ba ang student kapag feb 8 ang issue then kukuha ako ng non pro ng march 9?pwede na po ba un kc di ba ang month of feb is until 28 lang? 1 month = 30 days. Pwede po ba na yung SP ko na expired na ang ipakit ko sa LTO office pag kukuha po ulit ng new SP? computerized naman na po diba? Pag po ba pang 3 beses na nakakuha ng Student permit at na naexpired ulit, hindi na pwede kumuha ulit? Hello. What is the requirements if i apply for student permit again. I have an expired SP. ty. Sir tanong ko lang po.. kapag po ba kumuha ako by monday ng SP., makukuha ko rin po ba agad yun within that day?? And magkano po magagastos ko po sa pagkuha ng SP lahat lahat po?? Hi just want to ask po, nahuli kasi ako kahapon ng driving with a student permit but without the accompany of a proffesional drivers liscense. Is it true po na pwde makulong ng 1month at ma iimpound po ba ung motor dapat? Dec2017 na expired yun student permit. Ofw at kakauwi lang this april2018. Pabalik ulit this month sa abroad. 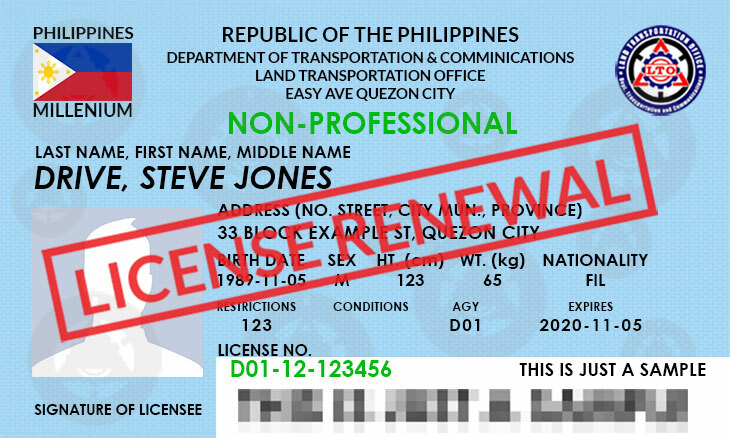 Pede ba ma renew to non-pro or pro license? Kukuha ka ng panibagong student permit because it is expired na. pwede po ba kumuha ng non pro license sa mismong araw ng expiration ng SP? valid pa din po ba yung SP nun? baka kasi SP ulit ang ipa apply saken. Thanks. It’s better to get ng non-pro, before that day, you wouldn’t know kung anong mangyari that day if you can apply. Better to be earlier than the expiration ng student permit. pag kumuha ba ako ng student license then mag drive ako papunta sa work .. pwede po ba un or mahuhuli lang ako ..
Bawal mag-drive alone (dapat may kasamang may lisensya) ang student permit lamang ang license. Yes, pwede na. If may violation na ganun may fine, then after one year lamang pwede nang kumuha ng student permit. sir for example po,nahuli aku with violation no drvrs licnse, unregstrd motor, no OR CR,..pde pa po ba aku mka apply for stdent license up to non prof or prof?salamat po..
Hi po ask ko lang pwede po ba mahdrive ng motor student permit lng ang gamit?ilang months po ba ma eexpired ang student permit? 12 months ang validity ng student permit. You can drive ng motor if may kasama kang may non-pro or pro na license. Otherwise, you may be penalize for driving na walang non-pro or pro na license. Paano naman po kapag yung taong may student permit nahuli during driving lesson with a professional driver not knowing na siya po ay learner. Possible po ba na magkaroon po siya ng penalties??? For example you violated traffic rules thus hindi ka pwedeng ticketan because nagaaral ka mag drive. Will that be a problem?? Probably ang accountable aside from the student is the instructor because he is the one who teaches the student. If you’re going to get a professional driver’s license, there is a rule that your existing driver’s license should not have 2 or more counts of reckless driving. But in that case, probably may penalties pa din yun because there’s no above the law. Good day Sir Wala napo ba talaga chance na ma i renew yung student permit ko to professional driving licence almost 1yr and 5mnths na po diko po na renew agad ofw po ngyn dito po ako sa pilipinas nag babakasakali po. Kukuha ng panibago kapag expired na ang student permit. Pwede na bang mag-apply ng non-professional driver’s license kahit expired na ung student permit? No, dapat hindi expired ang student permit. Kukuha ka ulit ng panibago. Maybe not because according to LTO, at least 17 years old is required for non-professional driver’s license. Pwede naman pala ang non-pro kasama ng student. Sabi nila pro lang dapat. Mga non-pro lang kasi halos kilala kong pwede magturo ng libre. Yes, pwede, according sa LTO, he/she should be accompanied by a duly licensed driver which is either non-pro or pro ang license. Ask ko lang po pwede ko po ba ipa laminate yung SP ID Card ko ? Card ba yun o papel na? pwede po bang magdrive alone na SP lamang ang license sa streets na hindi naman major roads like highways or i mean magddrive lang sa secondary roads na walang mavviolate? It’s better that you’re accompanied by a duly license driver. Yun ang batas kailangan may kasamang may lisensya. As of now ba po pede non-professional yung mag-accompany sa student’s license holder when driving a vehicle? Even if non-professional holder pwede. If I have a student license, can I drive a car accompanied by a non-prof license holder? For Student Licence Application, does it require that you know how to drive? Or can you learn while having a student lincence already, then apply for non-pro after? For student, it means you’re a student and you’re in the process of learning and it’s not required for you to know how to drive. You can apply for non-professional driver’s license after you know how to drive. Good morning- pwede pa pa ba makakuha ng pro drivers license Kung 8 months na ang student permit? Yes, 12 mo. expiration ng student permit. My student licensed is 6months already. Can i still apply for non pro licensed? Gud day po Ma’am/Sir , may tanong po sana ako . last yr na huli apo ako SP po yung gamit ko after 1 yr nag kuha ulit ako ng SP ilang moths/days po ba bago makakuha ng non-prof license . ? Ok lng po b mg drive ng motorcycle ng solo kahit student license lng gamit ko? If may kasama/kaangkas na mayroong lisensya. is the motorcyle written test the same as for the car written test? i can only see written test reviewer for cars nothing for motorcycle reviewer. it says that a foreigner needs to wait a year before he/she could apply for a driver’s license. does this count for former filipino also? Yes, it is the same. Probably, you may ask the LTO district office near you. Medyo confused po ako. Some people are suggesting me na Professional DL ang kunin ko instead na non-pro (may SP na po ako). 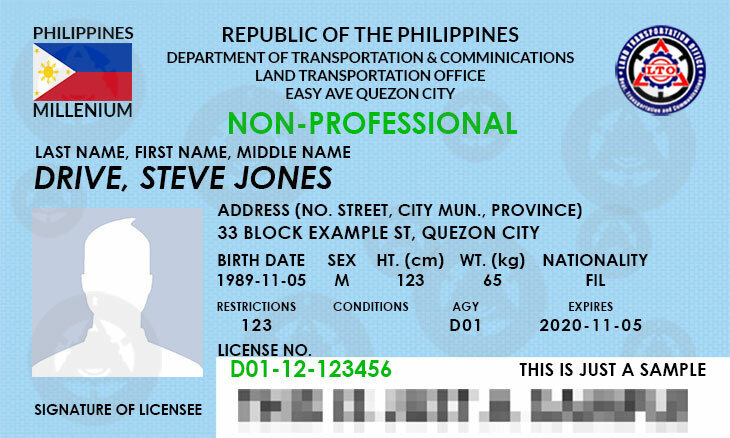 Sabi kasi nila mas strong ang professional dl kesa non pro saka hnd daw pwede mag long drive ang non pro holder kung walang ksamang my license din. Totoo po ba un? Girl po ako and baka ma.question ako kung bakit magpo.professional dl ako if ever un kunin ko. If you have a non-professional driver’s license, you are eligible to drive private vehicles while professional driver’s license entitles you to drive both private and public vehicles. So, you can driver anywhere you want kahit non-pro, ang professional is for driver’s na pwedeng mamasada. Pwede po ba kumuha ulet ng student permit khit mlapit pa lang mag expire ung luma? After expiration lamang pwedeng kumuha. Kailangan 18 years old according to the updated age requirement for the application of new non-pro or pro license.